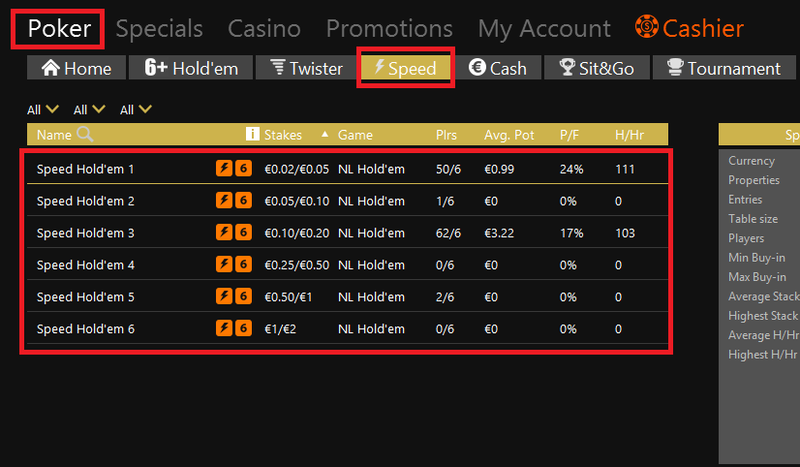 Play and win lots more with Expekt Poker thanks to the Speed Poker feature on our Cash Tables. Speed Poker cuts down on time between hands by moving you to a table with fresh action each time you ‘Speed Fold’. You don't join a single table but a large pool of players to keep the action flowing. You can join up to ten times for multi-tabling too! It couldn’t be easier to get involved, as soon as you join our Speed Poker pool, you will automatically be moved to a new table. Moving to a new hand is seamless, you stay on the same table and new opponents appear around you keeping it fast and fun! Experience the rush of Speed Poker today!